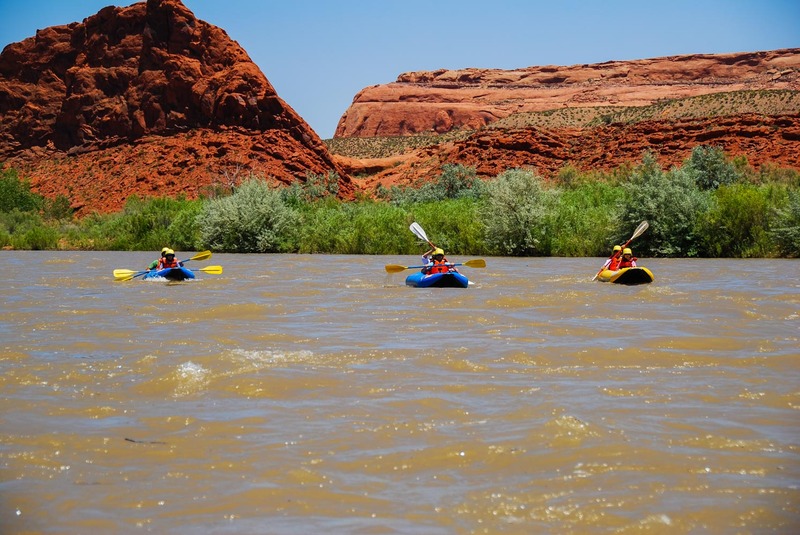 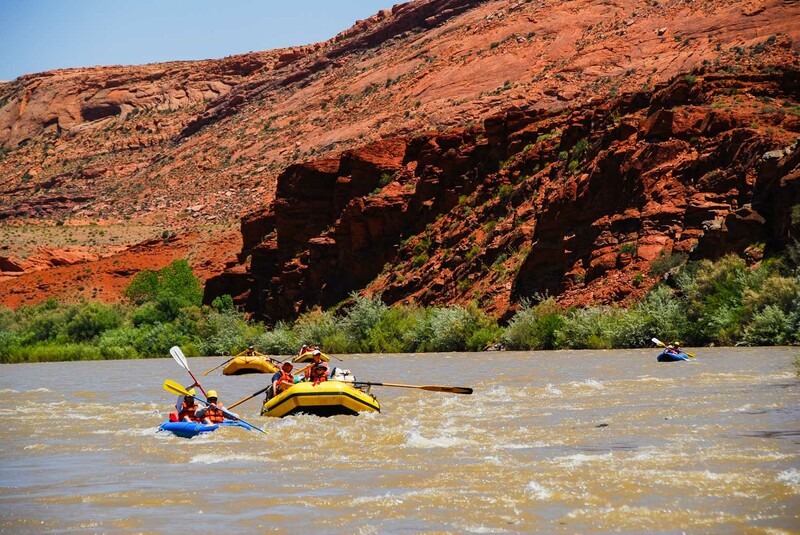 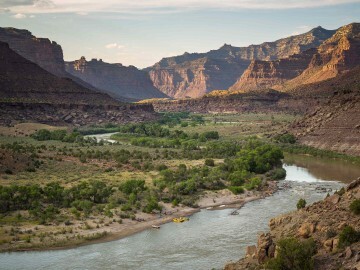 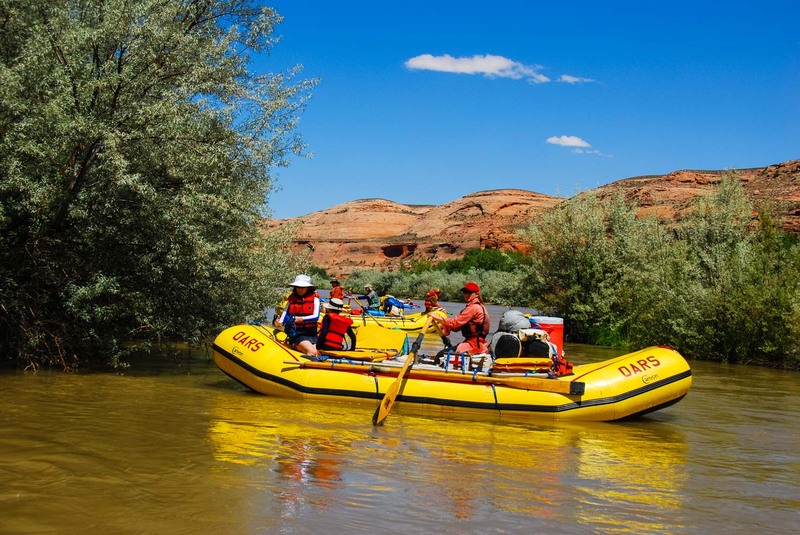 A rafting journey down the Class II San Juan River in Utah takes you to a place of surreal beauty and vibrancy, hundreds of millions of years in the making. 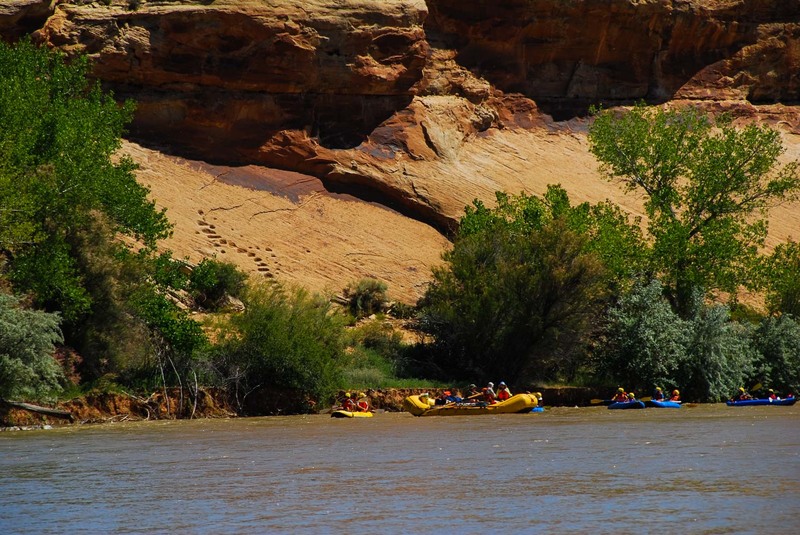 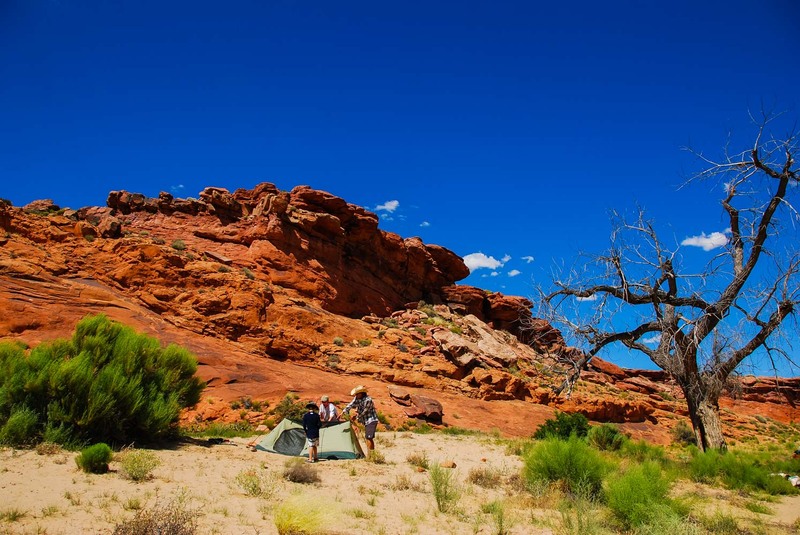 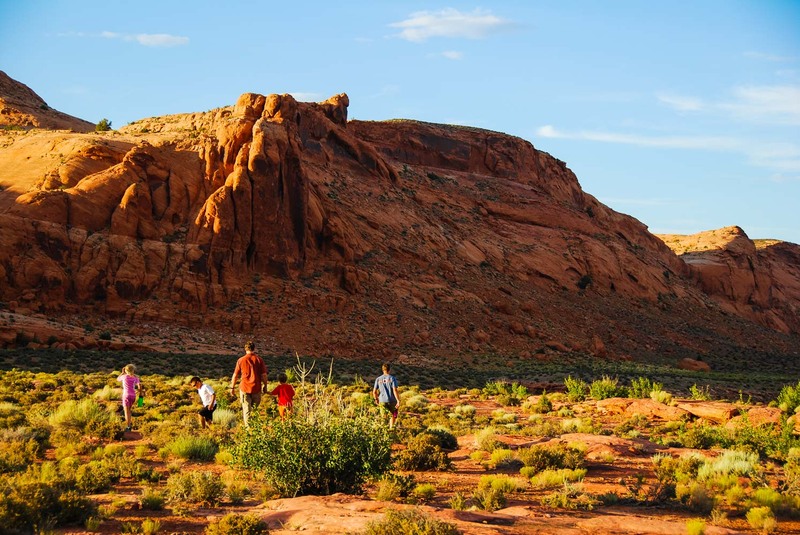 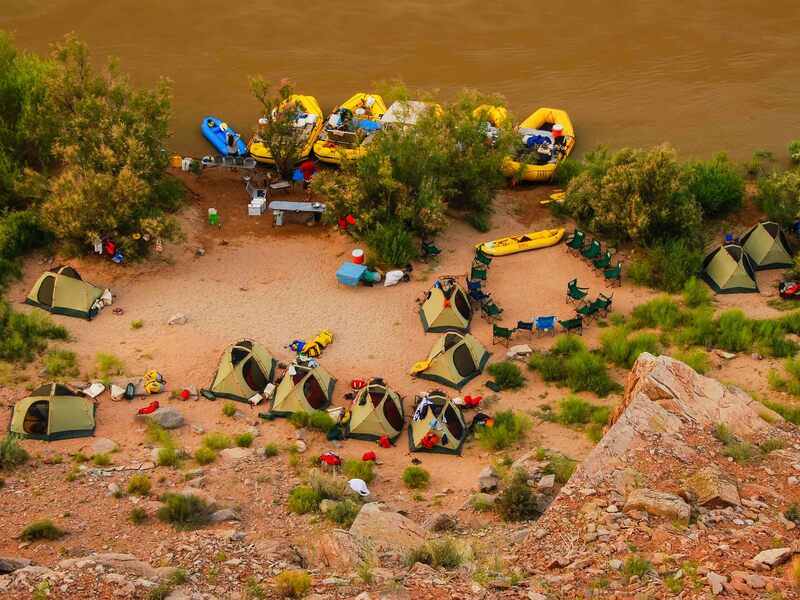 Join us for five days of outdoor adventure in southeastern Utah. 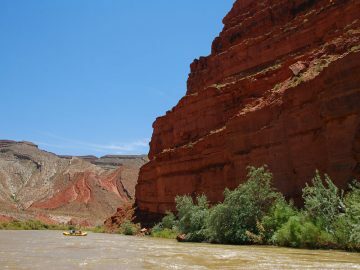 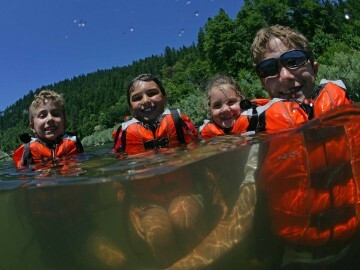 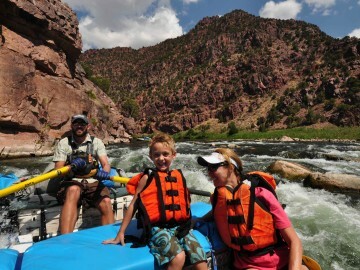 A calm, congenial river, the San Juan offers a relaxing rafting trip through a red rock labyrinth livened up by paddling fun, easy rapids. 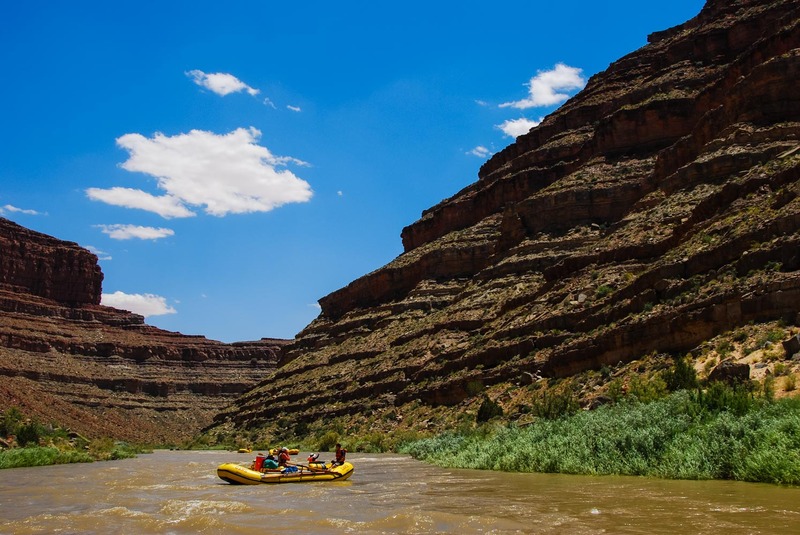 This is a chance to explore one of the most complex canyons in the Colorado Plateau as you zigzag over seven miles through the impressive Goosenecks of the Lower San Juan, where dramatic walls tower up to 1,000 feet in places. 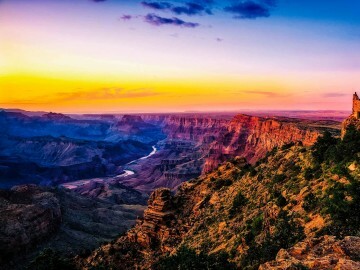 The stunning sights don’t end there. 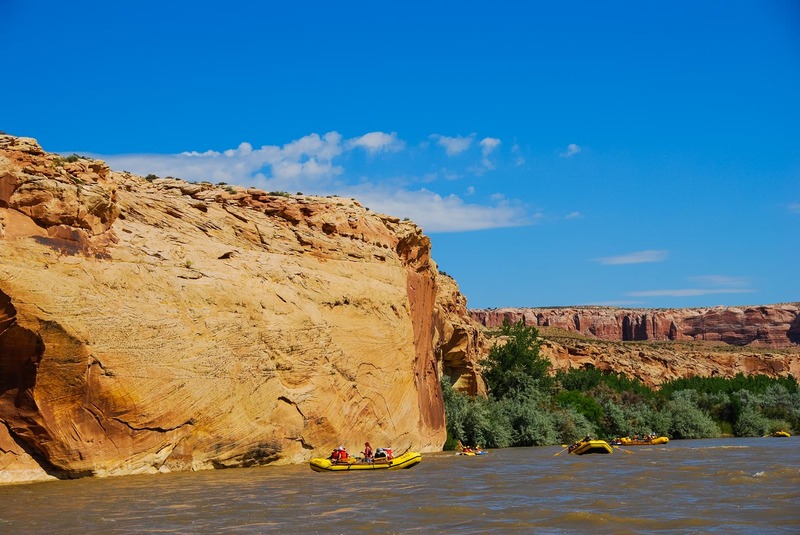 As you head downstream you’re treated to glimpses of other rocky wonders like Cedar Mesa, Cowboy Hat and Eagle Rock, Native American ruins hidden atop cliffs, bighorn sheep grazing along the shore and brilliant star-filled desert skies. 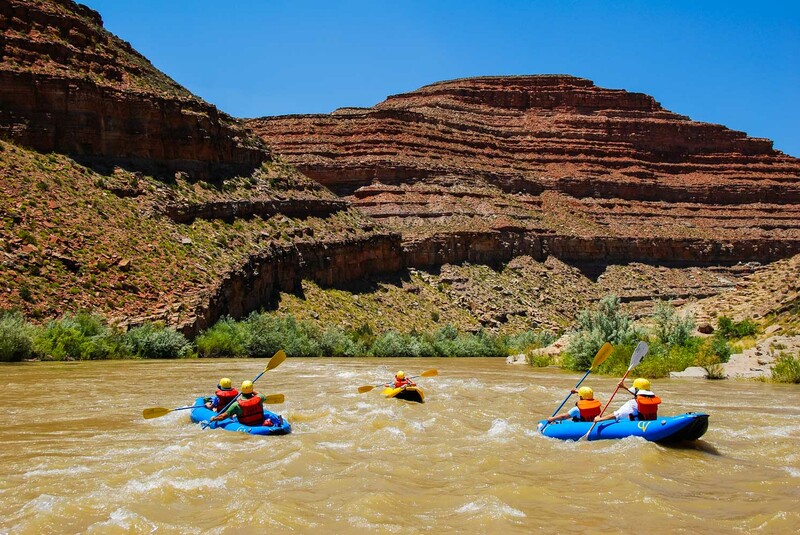 And just when you think the San Juan River can’t get any better, a stop to explore Slickhorn Gulch provides a refreshing dip in natural plunge pools and other hidden surprises nestled in this beautiful side canyon.